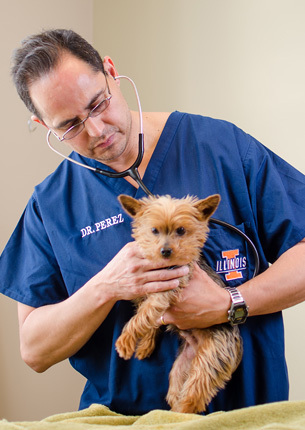 At Animal Hospital on Route 66, Dr. Perez and our medical staff recommend wellness examinations twice a year because if a health problem or issue can be detected in its early stages, there is a far greater likelihood it can be resolved and treated with less difficulty, less expense, and greater success. 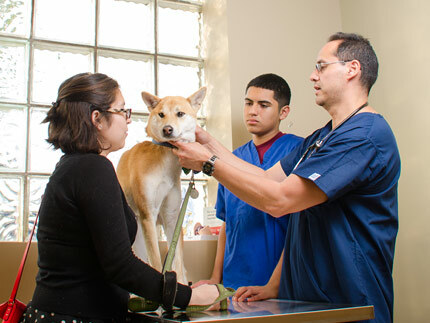 During your pet's wellness examination, Dr. Perez performs a complete physical to assess your pet's overall health and to give you an opportunity to discuss any questions or concerns. Have you noticed any recent subtle shifts in your pet's health or behavior? Have you observed any changes in body weight, appetite, water intake, urination and bowel habits, and/or activity level? Changes may be signs of medical problems. Seemingly insignificant lumps and bumps under the skin may be indications of infection or cancer. Ear infections, abscessed teeth and gum disease are common, painful conditions that may not become noticeable until seriously advanced. A comprehensive physical examination helps your veterinarian and you evaluate your pet's health and make informed decisions about your special companion's veterinary care. Each age and stage of your pet's life presents different health issues that require attention and care. At Animal Hospital on Route 66, your veterinarian will develop an individualized health care plan for your pet that takes into consideration special needs, lifestyle, breed and home life. During each examination, we also listen to your concerns, answer your questions, and keep you up-to-date on all the information you need to be the best caregiver to your pet. Understanding the benefits of healthy habits, preventive medicine, and regular examinations helps you and your pet lead a long, happy life together. Vaccinations are the best way you can protect your beloved pet from serious infectious diseases. They prepare your dog or cat for exposure to certain viruses, so when exposed, the immune system can destroy the invaders before the body becomes overwhelmed. However, not every pet requires the same series or frequency of vaccines. At Animal Hospital on Route 66, Dr. Perez determines a vaccination protocol based on your pet's lifestyle, susceptibility to disease, prevalence of disease in our area, and the most current recommendations from the American Veterinary Medical Association. Our goal to is to maintain optimal health and protection while not over-vaccinating your pet. If you would like to schedule an appointment to get your pet up-to-date on vaccinations, please give us a call at (708) 669-6666. The first year of care for your new puppy or kitten is the most important. Like human infants, puppies and kittens require special attention for them to grow and develop well. Physical Examinations: Your puppy's or kitten's lifetime of wellness starts with its first comprehensive physical exam. Puppies and kittens should have 3-4 exams between the ages of 8-16 weeks. These visits are important because they provide our veterinarians with an opportunity to assess your pet's overall health, administer vaccines, and discuss common behavioral situations. Vaccinations: Due to their developing immune systems, puppies and kittens must receive a series of properly staged vaccines. 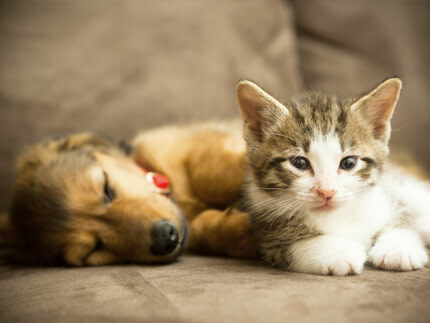 Because every puppy and kitten is unique, we tailor our vaccination recommendations based on their lifestyle and/or breed and according to the suggested medical guidelines. Diagnostic Testing: Puppies should be tested for Heartworm and kittens tested for Feline Leukemia and Feline AIDS. Additional Recommendations: Your veterinarian will also discuss and recommend other services, such as spaying, neutering, and microchipping. We also take plenty of time during these visits to offer health care, nutrition and training advice and talk with you about any concerns you may have. This is your new kitten or puppy and we're happy to answer all your questions! Taking a moment to learn more about the special needs of your senior pet is the first step toward providing the best care for your companion in his or her later years. Pets that are about seven years of age and older begin to go through a gradual reduction of their physical capabilities. This process can be slowed and managed through proper veterinary care that can provide your pet an extended period of vitality and good health. Preventive care exams every six months that are tailored to your pet's age, lifestyle, risk factors and other elements can help prevent common diseases or detect them at early and easily treatable stages. There is also an important role for you to play as your pet's primary caregiver. You can influence your pet's activity level, living conditions, access to quality senior veterinary care, and daily nutrition. With your veterinarian's help, you can manage these factors to prolong your pet's good health, vitality, and increase his or her well-being, even as his or her pace slows a bit. The best time to begin your pet's senior care program and recognize the need for a little extra TLC is before age-related conditions begin to occur. The veterinary staff at the Animal Hospital on Route 66 recommends regular senior wellness exams, which include bloodwork to detect early signs of disease, nutritional counseling and arthritic pain prevention. Dental care at this point in life also becomes even more important. We recommend regular dental exams and cleanings for all pets, but especially those in their senior years. Fleas and ticks are more than a nuisance; they carry diseases dangerous to you and your pet. Fleas are most abundant during the warm weather. However, if left untreated, they can be a problem year-round. In fact, flea infestation is one of the most common medical problems veterinarians see. Your pet can be allergic to fleas, and even just one bite can result in a severely painful skin infection. Fleas can also transmit serious diseases such as bartonellosis (the bacteria that causes “cat scratch disease” in people), and parasites like tapeworms. In Illinois, ticks can carry a variety of serious illnesses, including Lyme disease and Ehrlichiosis. Like fleas, they are significant threats to your pet, especially during the warmer months of the year. Ticks tend to thrive in wooded areas or in high grass. It is often difficult to keep your pets away from tick infested areas, so if they do go exploring check them carefully when they come inside. Remember, prior to feeding, ticks can be as small as a poppy seed! The good news is these problems can be avoided by using one of the safe and effective prescription strength parasite prevention products that are available at our animal hospital's in-house pharmacy. Please ask a member of our medical team to recommend a product that is right for your pet. Heartworm disease is a serious, life-threatening disease transmitted by mosquitoes. It affects dogs and, to a lesser extent, cats. In the U.S., Heartworm disease is most common along the Atlantic and Gulf coasts from the Gulf of Mexico to New Jersey and along the Mississippi River and its major tributaries, but it has been reported in dogs in all 50 states. Clinical symptoms of Heartworm disease develop very slowly. Early symptoms include lack of energy, exercise intolerance, coughing, and difficulty breathing. Because Heartworm disease is increasing in frequency and is a serious and deadly disease, we recommend your dog be tested annually. Fortunately, Heartworm disease prevention is simple and effective. 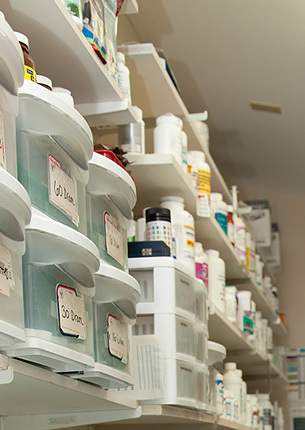 For your convenience, For dogs, Heartgard Plus products are available at our in-house pharmacy. Heartgard not only prevents Heartworm disease, but also treats and controls ascarid and hookworm infections in dogs. For cats, Revolution, which also protects against fleas and treats and controls hookworm, roundworm and ear mites, is available. If you would like to have your pet tested for Heartworm disease, or if you would like additional information on how best to protect your pet from this dangerous parasite, please call Animal Hospital on Route 66 today for an appointment. We offer wellness care programs for hamsters, rats, guinea pigs, reptiles and birds. Since it is often difficult to determine if an exotic pet is ill, we strongly recommend physical examinations at least once a year to check for health problems plus check for nutritional and husbandry-related conditions. To survive attacks from their predators, exotic animals normally conceal their illnesses in the wild. As a result, their medical problems often go unnoticed for long periods. 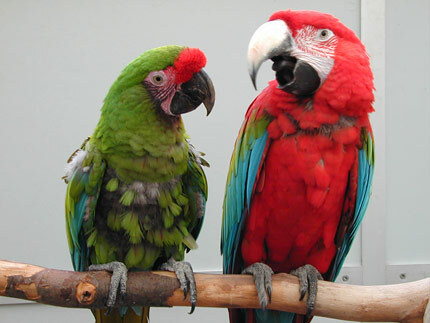 By the time you recognize there is a problem with you exotic pet, the condition is often extremely serious. With twice annual medical examinations by Dr. Perez, problems are often diagnosed before they become serious medical conditions. We strongly recommend a complete wellness appointment as soon as you acquire your new exotic pet. This exam includes a thorough physical examination, husbandry and nutritional consultation, disease screening and laboratory testing if necessary. Before bringing your pet into your home, make certain he or she is healthy.